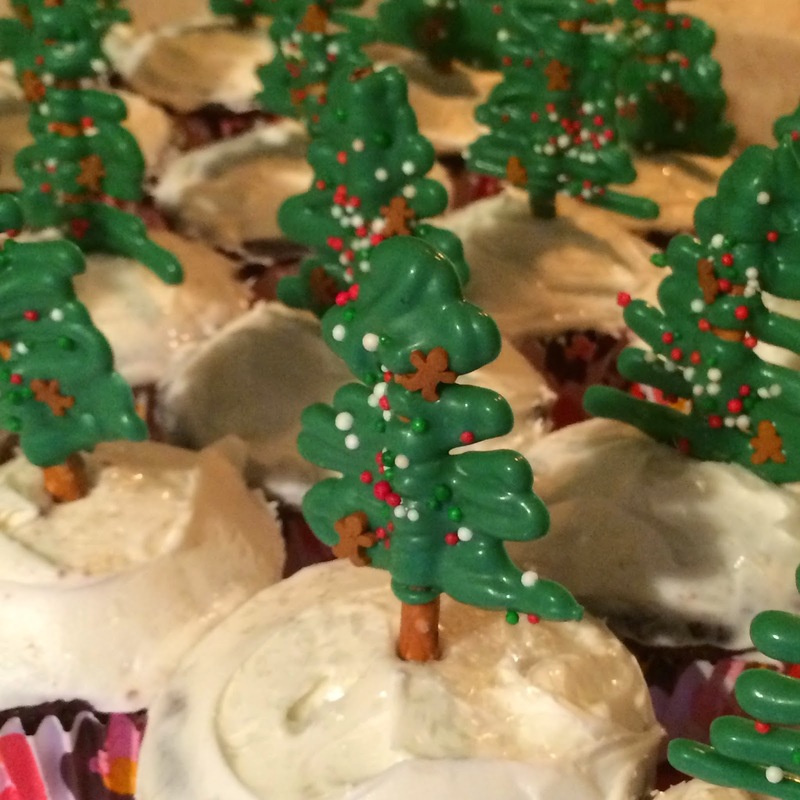 I made these cupcakes with the help of a friend, for a friends birthday and ugly christmas sweater party. To learn how to make these Christmas Trees, keep reading! If you also want to make cupcakes, this is a great recipe here or cheat and buy a box mix - nothing wrong with that! 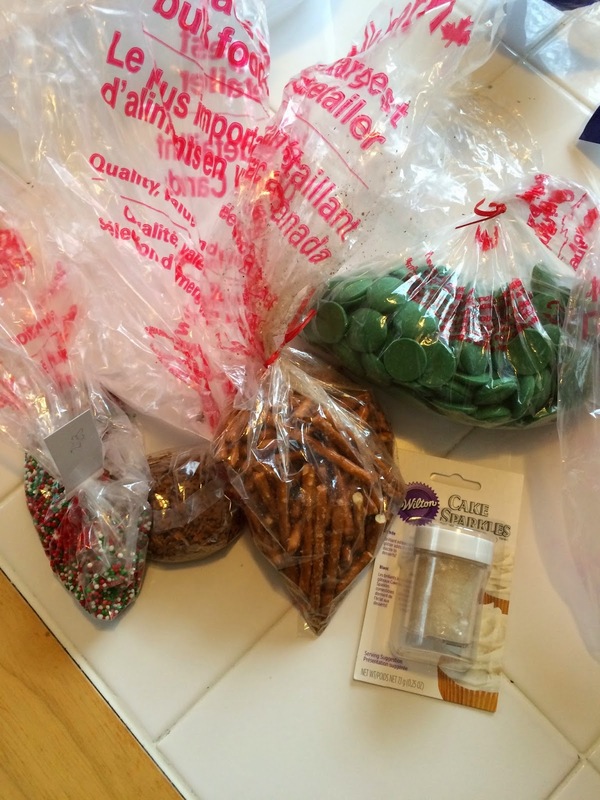 What you need to make these: green candy melts, stick pretzels, sprinkles, piping bag (or milk bag), baking tray and a freezer. Place the baking tray in the freezer for at least 10 minutes to allow for it to become cold. Lay out the pretzels or "tree trunks" with two inches between them. What I did, was place a pot, 1/3 filled with water, onto the stove on a medium heat. Then, I placed a smaller pot on top and placed the candy melts inside. This ensures that you do not burn the candy melts, and allows them to melt more evenly. Once completely melted, remove from heat and allow for it to cool, but not harden. If it is too hot, the candy melts will be really runny and hot, and hurt your hands when you are trying to pipe the trees. Cut a small hole in a piping bag, or milk bag. Fill the bag with the candy melts. Start at the top of the tree and zig zag down. This should look something like the picture below. 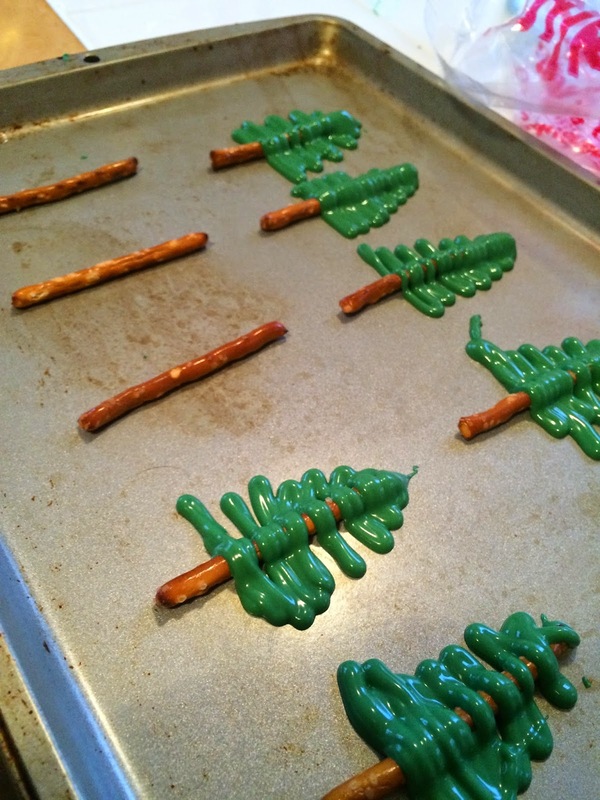 One you have finished adding the "branches" to all of the trees, add a few sprinkles. Place in the freezer for about an hour to be safe. 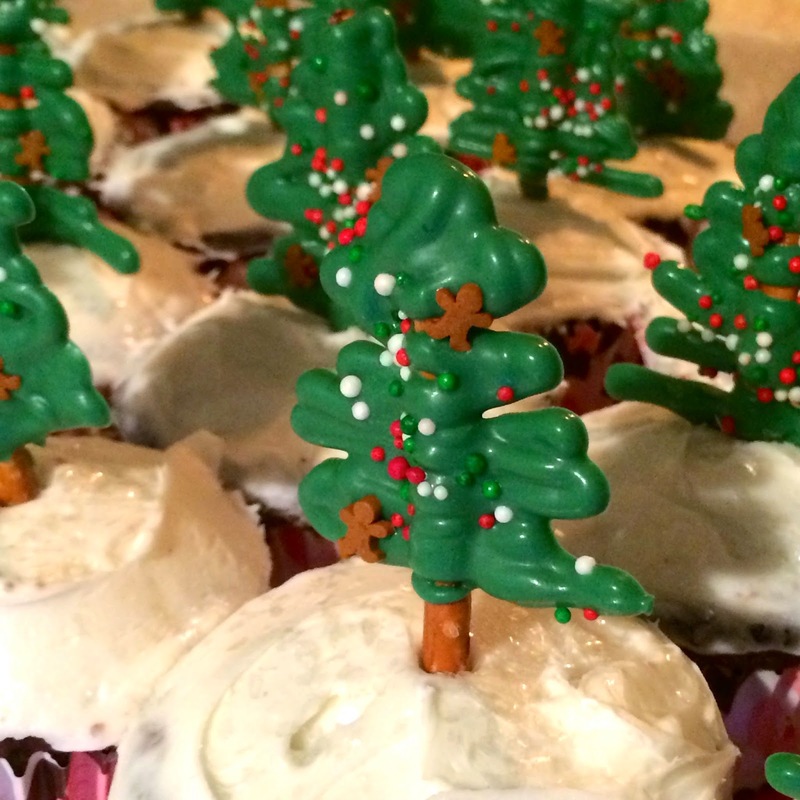 Enjoy these trees as toppers to cupcakes, or on their own! Very similar to another DIY I made last year. 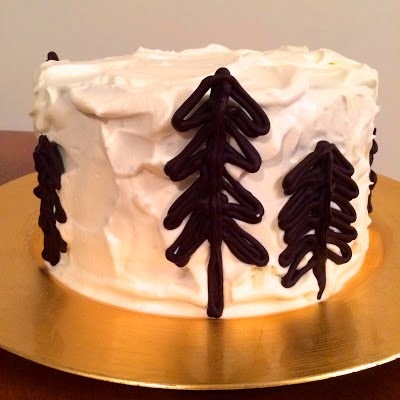 Click here to see how to make these chocolate trees.